Do we need a new EIN for our new nonprofit corporation? Our homeschool group already has an EIN (Employer Identification Number), but we recently decided to work toward 501c3 status. We are now incorporated. Do we need a new EIN or can we just change the name on the one we have? The IRS, who issues EINs, makes it clear that you need a new EIN when you form a new nonprofit corporation. You can get a new EIN online, but it’s helpful to look over the Form SS-4 so you know what questions will be asked. When your homeschool group applied for an Employer Identification Number with the IRS, you had to give a responsible party’s name and their Social Security Number. Now that person is stepping down from your homeschool board. How do you change the responsible party’s name on your EIN? Carol Topp, CPA explains how in this short podcast (9.5 minutes). In the podcast, I mentioned Money Management in a Homeschool Organization. It’s a guide for homeschool treasurers that you may find helpful. Yes, a group of homeschool families can just gather together, but the group will be limited in their size and to dealing in cash only. Very small homeschool groups are more like a play group or group of friends pooling their money to pay group expenses, like a field trip. I compare it to a group of friends all going out to dinner. They each pitch in to pay the bill. These tiny groups do not file reports with the IRS. Very tiny homeschool groups can operate like this. 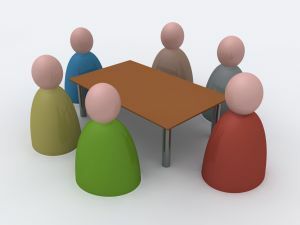 In this case, a group may not need an EIN or to open a checking account for the group, but they would be limited in size and limited to cash only. 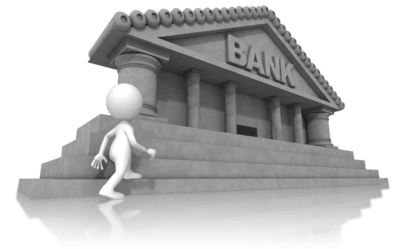 It’s usually when a group needs a checking account that they have dealings with the IRS, because they need an EIN to open a checking account. 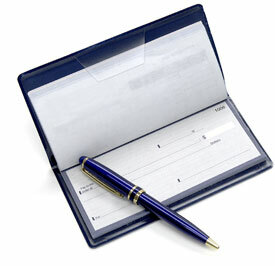 Here’s a collections of my best blog posts on checking accounts for homeschool organizations. Will getting an EIN put us on the IRS radar? EIN before or after incorporation? 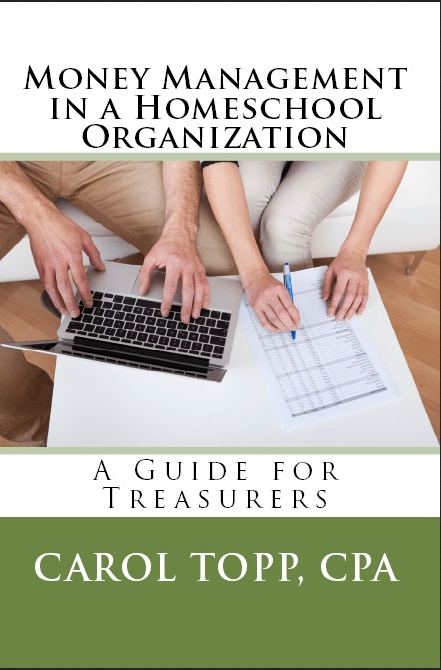 You’ll find more information on managing money in a homeschool organization in my book, Money Management in a Homeschool Organization: A Guide for Treasurers. 1) Do we need to set up a new bank account? Or just change the set up on our current accounts? We have a Paypal linked, Amazon Smile account, Cash for Our Cause through our bank. 2) Will this affect anything with our IRS account? We won’t have to re-apply for 501c3 status will we? I hope some of my podcasts were helpful! Thanks for listening. If your organization now wishes to become a nonprofit corporation (and I highly recommend it), you will have to get a new Employer Identification Number (EIN) and re-apply for 501(c)(3) tax exempt status in the name of your new corporation with its new EIN. When you create a corporation, it is a new legal entity. So the IRS wants you to get a new EIN and makes you go through the 501(c)(3) application process again. Bummer. Fortunately, the IRS does have a new short application for 501(c)(3) status, Form 1023-EZ. I have assisted about 25 nonprofit organizations get tax exempt status the new Form 1023-EZ. Some have received their tax exempt status in 10 days. That’s much faster than the 3 to 13 months in the past! Contact me if you’d like my help in applying (or reapplying) for tax exempt status. The bank should make you open a new bank account with the new EIN. Paypal, Amazon Smile, etc. probably don’t care about your new corporate status, but you will need to re-connect them to your new bank account. Incorporated in your state? Time for a new EIN! I just updated my article on “Getting an EIN from the IRS” (on my Articles page) because my original article neglected to mention that your organization needs a new EIN after you incorporate as a nonprofit corporation in your state. If your group became a nonprofit corporation in your state, then you need a new EIN from the IRS in the name of the new corporation. A corporation is a new legal entity and you need a new EIN to match it. Use the same name as you used when incorporating. Look on the certificate you received from your state for your official legal name. If you have questions about setting up or running your homeschool organization, visit HomeschoolCPA.com or consider a private phone consultation with me.